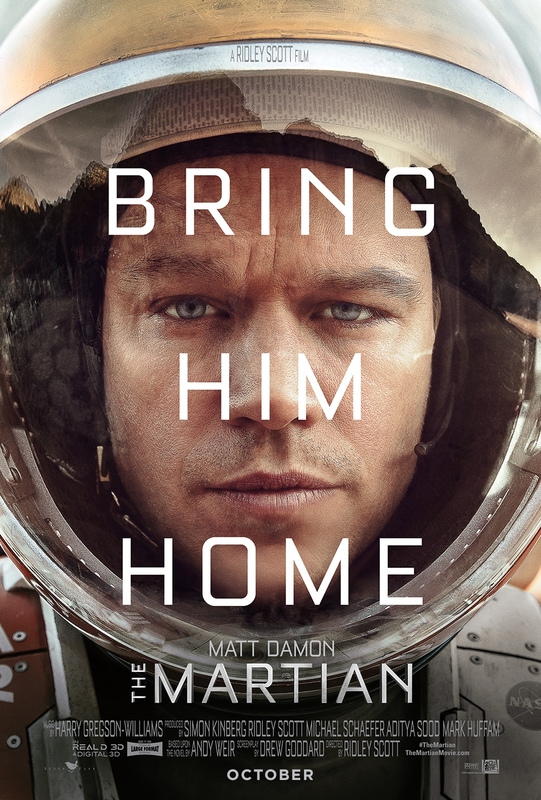 Hulu has started streaming movies as well as TV shows. 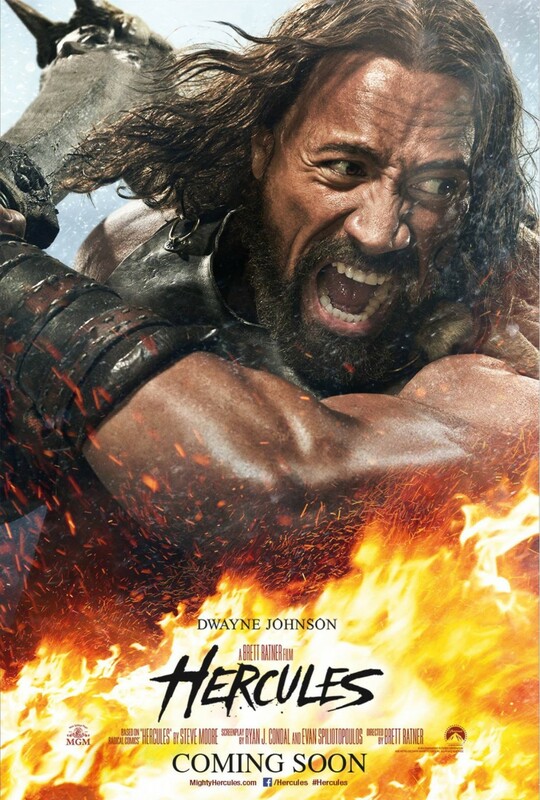 I’d wanted to see the new Hercules movie since it came out. Perfect Combination! The movie stars Dwayne Johnson (are we still calling him the Rock?) in the title role, which is probably one of the best casts I can think of for Hercules. The trailer advertises the classic story of the Twleve Labors of Hercules with our hero slaying many beasts to thunderous applause. That is not what the movie is about. At all. So with that disappointment out of the way, let’s talk about what the movie is about. Hercules and his band of friends are mercenaries with Hercules as the front man. Hercules and his band of misfits are hired by King Cotys to defeat the barbarian warlord, Rhesus, who is attacking local towns. They train Cotys’ army and then lots of fight scenes ensue. Standard action movie stuff. The group plays up Hercules’ reputation by constantly reinforcing that he is the son of Zeus and that he’s slain tons of fantastical monsters. All of that is false in this story. No monsters. No divine parentage. Just stories to make Hercules more intimidating to their foes. There is a bit about Hercules having to fight centaurs later on in the movie, but a nod is given to what some people believe inspired the myth of centaurs, people riding horses. A person unfamiliar with that practice might assume that they were seeing a human-horse hybrid and not just a person on top of a horse. As for Hercules’ well-known strength that many are familiar with from the Disney movie, that is actually in the movie. It’s not to the supernatural degree, but he is still really freaking strong. There is some augmnetation for that intimidation factor I mentioned. At one point Hercules kills a man with one punch. The audience sees that he accomplished this by concealing an arrowhead in his fist and stabbing it into the man’s skull. Hercules is very similar to 300 and Beowulf. He even shares the iconic scene in Beowulf where the title character shouts his name to emphasize his manliness. If you liked those movies you will like Hercules. If you’re looking for a story that is actually about the myths of Hercules, that isn’t here. There are tons of references to the myths, but no actual reenactments. Similar to Troy the movie tries to show us how historical events could’ve inspired those myths instead of showing the myths themselves. If none of that interests you the movie is still a decent action movie. Lots of well choreographed violence and snarky one-liners. It’s not the best in that genre, but I certainly enjoyed myself. If any of the stuff I said interested you, go check out Hercules in the DVD section of your local store or on Hulu if you have a subscription (I don’t think you can watch it there if you don’t have one). Petar is home to about 110,000 people and is the seat of Xorian military power. 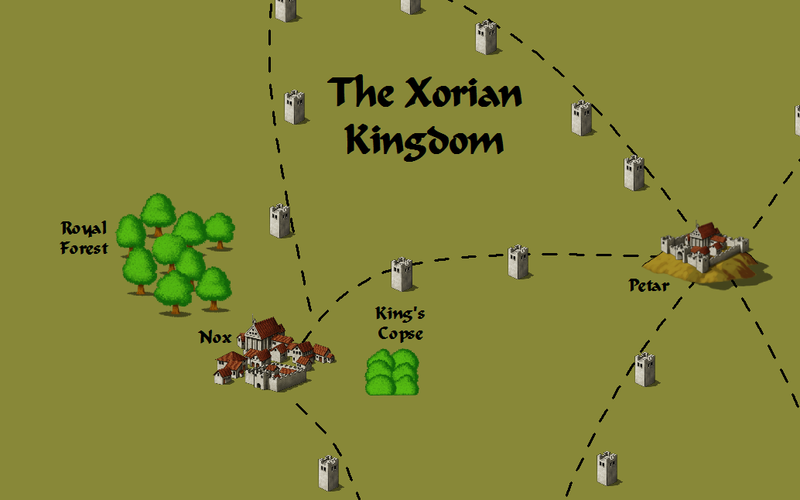 The main contingent of Xoria’s army was stationed in Petar during peace time to prevent incursions from the nearby Magical Lands. The city is walled and has a large keep at the center if the outer fortifications are breached during an attack. In the case of a siege non-perishable food is stockpiled in the basement of the keep and a large staff of clerics and mages are kept in reserve to act as an infirmary and food creating service for the army and the civilians of the city. The economy of Petar is heavily focused on supplying the army. All blacksmiths have a quota of goods they must sell to the army every month. The mages guild has so many students of battle magic that a few renegade war mages from the war mage academy in Greshen Dale have set up an illegal teaching outpost in the city. Druids in the city are coerced into using magic to enhance crop growth to feed the troops. Everybody who does not send some of their products to the Xorian military must serve a year service in the army every five years. Almost all of the farms of Petar grow wheat and other staple crops. The military command wants all arable land to be used as best it can. A few fruits and vegetables are cultivated to provide a balanced diet for strong troops, but the populace is always complaining that there isn’t enough. Cattle and sheep are raised on the exhausted land to get wool, dairy, leather, and meat. The manure from all the animals refertilizes the tired land and every few years the grazing land will be switched with the farm land. Petar is strategically located atop a hill in the middle of a wide plain. It is gossiped that this is the spot where Hades’ head hit the roof of Erebus when Zeus told him the conditions of his marriage to Persephone. Four months of companionship out of every year would seem ridiculous to any man, let alone an Olympian. The hill allows the Xorian army to see any approaching army for miles and gives them a defensible position once that attacking army is within bow range. The government of Petar is headed by Duke Delor who is subordinate to King Jevaninada. The Duke does most of the administrative work and takes his orders from Commanding General Barejando when he is present in the city. Barejando is in charge of all Xorian infantry battalions on offense and defense and Petar’s police force. He is personally responsible for the defense and safety of Petar. The general has his hands full planning invasions, rooting out Persian, Rebel, and Cimmerian spies, and maintaining order. With so much to do it’s easy to see why Barejando leaves management of the civilian population of Petar to Delor. Duke Delor is also the Dragovinian religious leader in Petar. He manages the blood drinking ceremony every week in the city’s main cathedral. Delor personally created many of the Dragovinian beasts that watch the people of Petar for any possibly seditious activity. In his free time he enjoys spying on the citizens, and if he’s lucky, ripping a suspected Rebel’s throat out. When Delor tours the city he always seems to find suspected rebels, and suspects are always found guilty. One of the most amazing things in Petar that has most likely led to the rumor of Hades’ head bump is the extraordinarily large gold deposit beneath the hill. 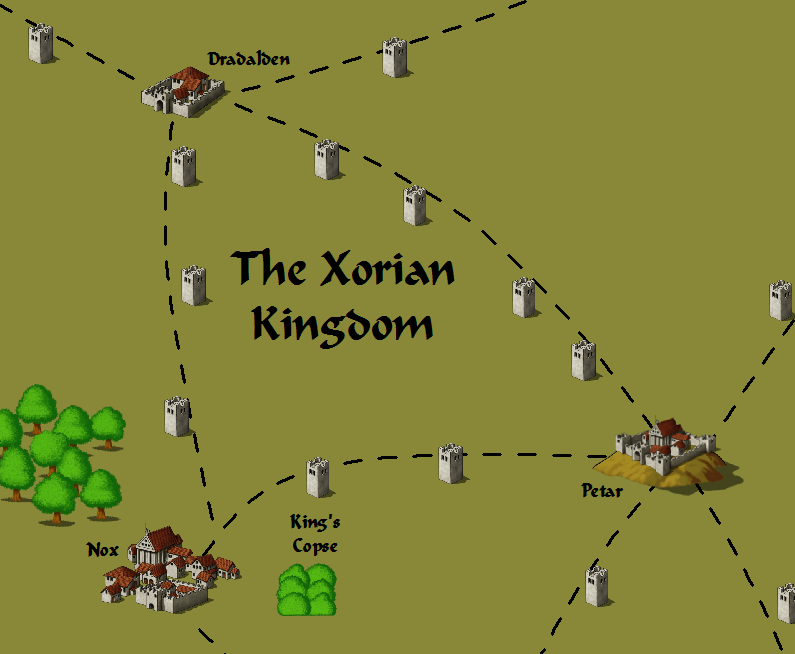 The gold vein was discovered many years ago by one of the kings of Xoria himself. While surveying the digging of one of Petar’s many wells the king’s sharp eyes picked out the glint of gold at the bottom of the well. That well has since turned into a mine shaft where most of the money of Xoria is minted and then taken to the current king, Jevaninada II. 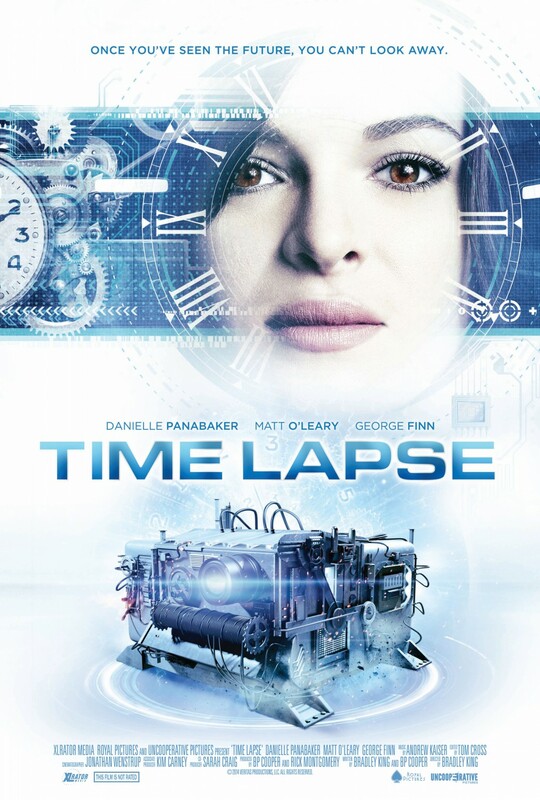 I saw an awesome movie on Netflix called Time Lapse. The movie was directed by Bradley D King and starred Matt O’Leary as Finn, Danielle Panabaker as Callie, and George Finn as Jasper. Finn, Callie, and Jasper live at an apartment complex. Finn works maintenance for the apartments and moonlights as an art painter. Callie is Finn’s girlfriend and she assists with collecting rent and other random tasks. Jasper is their sketchy friend who gambles on dog races a lot. Finn and Callie are called to check on Mr. Bezzerides who is late on his rent. Callie goes over and finds something strange. The three of them investigate and find out that Mr. B has created a form of time travel. A gigantic camera is set up at Mr. B’s house, bolted to the floor. The camera is aimed out Mr. B’s window at the living room window of the three friends. Every day at 8PM the camera spits out a Polaroid, not of the current events in the apartment, but of what will be happening the next day at 8PM in the friends’ living room. The group decides to cover up Mr. B’s death, claiming he is in the hospital to those who ask. Jasper uses the camera in a fairly obvious way. 24 hours into the future he holds up a sign with a few winning dog races of the day on it at 8PM. The camera takes a picture and sends the information back in time. Jasper gets the info and then he knows which dogs to bet on. He bets on those dogs, wins a bunch of money, and then holds that sign up to the camera to ensure that he gets the information in the past. Finn uses the camera to overcome his painter’s block. For weeks he’s been staring at a blank canvas, painting nothing. With the camera he can see the painting he does the next day. Knowing what he is going to paint he no longer experiences writer’s block (Yes, we’re dealing with the type of time travel that violates causality). Callie doesn’t seem personally get much out of the camera, but she’s happy to have the money that Jasper is making and that Finn is completing his work. The camera continues to violate causality by showing events that wouldn’t naturally occur. The three main characters feel they must faithfully reenact those events or they will suffer the same fate as Mr. B in his storage room. Conflict ensues as the next day’s events start getting weirder and weirder. I won’t spoil that part of the movie for those who are interested. I loved Time Lapse. It has all the weird stuff I look for in a movie. It offers a lot of the same stuff that Memento, Sliding Doors, and About Time had. If you enjoyed those movies then you will probably like Time Lapse. I should warn you that there’s a significant amount of gun violence in the movie and a little bit of sexual content. The violence was enough that my wife didn’t finish watching the movie. Personally, I felt that the conflicts escalated too quickly to a lethal level, but it didn’t significantly detract from the other excellent aspects of the movie. Overall, I’d definitely recommend Time Lapse. Check it out on Netflix! Mars’ Oasis is a large settlement of 50,000 people in the Shacklack Desert. The city is built around two oases, a large one full of water, and another minute oasis full of a magical liquid called Dythalid. When objects are immersed in Dythalid for an entire month they acquire magical properties, while the Dythalid is consumed. Metals that go through this process become Dythalidium and have the same properties as Dragonsteel. Plant material that goes through the process becomes Dythalidare and has the same properties as ironwood, but can still be consumed for 1d8+3 healing for each serving eaten. Minerals that go through the process become Dythalidem, a crystal that radiates blue light as well as enough heat to protect against cold temperatures as low as 0˚ F. Other liquids that go through the process become Dythalidos, a liquid that explodes under pressure or when the smallest spark touches it. Dead animal products that go through the process become Dythalidon, a virtually weightless substance that still provides ample sustenance if consumed. Naturally, the liquid is unbelievably valuable. An equal amount by weight is needed to change an object into a Dythalid substance. Dythalid is sold by the government of Mars’ Oasis for 1,600 GP an ounce to citizens of the desert. It is sold outside of the city for more, but this is illegal and carries a very severe punishment that is kept in vague secrecy. Civilians are terrified of this punishment but the fugitives who sell Dythalid to outsiders think the worst that can happen to them is starvation in a prison cell. Dythalidium is used by the nobles of the city, but is too expensive to give to the soldiers who could easily desert and sell their armor and weaponry for a fortune. Select super soldiers, called the Dythalidee, are chosen to be guards of the Dythalid Oasis from birth. 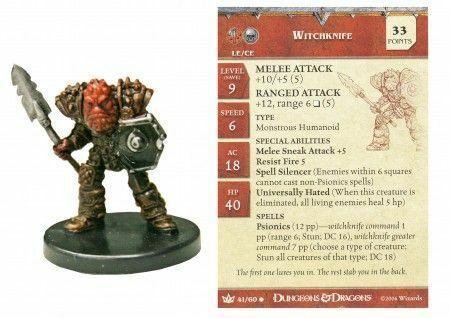 They are always extremely exceptional in every aspect, resistant to mental corruption, have psionic abilities, Dythaldium weapons, Dythalidare armor, and know all the secrets of Dythalid. No Dythalidee has ever fallen in combat. The city needs food to survive. A little grain does grow around the oasis, but the people need water to drink as well as for irrigating crops. There isn’t enough water for livestock and people to drink, so few beasts are kept at Mars’ Oasis. 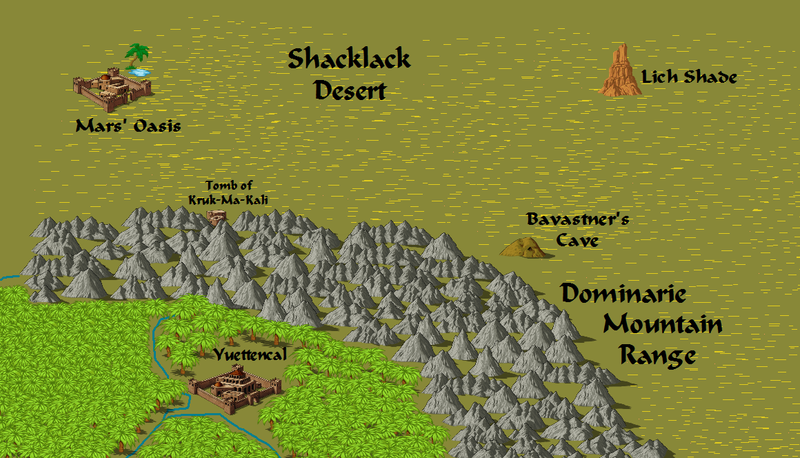 A special fruit bearing cactus known as Sithica grows throughout the whole Shacklack desert. It is poisonous in its normal form, but if soaked in Dythalid one of the fruits can support someone for a week. The Sithica fruit is the only known substance that does not consume the Dythalid in its incubation period. These fruits are the staple crop of Mars’ Oasis. The government of Mars’ Oasis is based around a caste system. The lowest caste is slaves, next servants and laborers, moving up to merchants, craftsmen, artisans, and specialists, then nobles and other people from rich or powerful families, the final caste is the royal family who has control over the Dythalid pool. Taxes go through the castes. King Mero III taxes the nobles, the nobles tax the merchants, the employers tax the servants, and the owners take everything they can from the slaves. King Mero decides where the money goes, usually into the army. Mars’ Oasis needs a good army. It has a constant struggle with the desert environment as well as the other inhabitants of the desert. Bavastatner, the oldest of the blue dragons, lived in Shacklack and his progeny are one of the biggest problems for the people at the oasis. A dragon slayer’s guild has come into existence to deal with the problem. They provide free weapons to the public whenever the city is under attack and King Mero III himself is an accomplished member of the guild. Brass dragons also help against their worst enemies, but only when required. An enormous formian hive has been set up in the desert. The hive has 25 queens and almost 10,000 workers in it. These outsiders are seeking to enslave the other humanoid species of the desert. To counter the ant encroachment Mar’s Oasis has welcomed a group of Dionysus missionaries. The chaotic clerics are able to keep the lawful Formians away from the city proper whenever they decide to attack. Previously, undead were an even bigger problem than the blue dragons. In the east of the desert a powerful lich lived in an enormous stone monolith surrounded by legions of undead. The people of Mars’ Oasis, never knowing the lich’s true name, called it the Bane. The Bane sent huge armies of undead to attack the city every few years. The Bane didn’t seem to have any particular goal beyond getting more corpses to make more undead to attack the city to make corpses. It may have wanted control of the Dythalid pool, but the pattern of the attacks were never aimed at that area or any specific area of the city. Recently the Bane was defeated by the exiled members of the Alliance. King Mero III planned to reward them, but ordered them to leave the city when he discovered that the exiles weclomed an undead in their midst. Prior to the defeat of the Bane, the mages and clerics of Mars’ Oasis had been thinking of different tactics for driving the undead off for centuries. The most basic tactic is using lots and lots of clerics to turn and destroy the undead. The most effective tactic the mages have created so far is the Rot Reaver. It is a monster that eats and controls undead. It is a little on the black side of magic, but it was seen as necessary to fight the thousands of undead that attacked the city. With the defeat of the Bane, the mages of Mars’ Oasis are now tweaking their Rot Reavers to prepare for a conflict with the Dragovinians. Other dangers that threaten the city include lamias, manticores, dragonnes, basilisks, sphinxes, hyenas, giant insects, braxats, dune stalkers, sun giants, asabis, brown dragons, stingers, harssafs, witchknives, and all different kinds of lizards. These creatures never attack in large groups and are usually just one rogue monster that has got the suicidal idea that it can attack an extremely militaristic civilization on its own and survive. Mars’ Oasis’s army has 3,500 people on active duty patrolling the city, making weapons and armor, and out in the desert killing any monsters they can find. The men are all able to turn undead due totheir clerical or paladin training. They all wear at least breastplate armor and carry masterwork bows and weapons. All of them are trained for killing undead and desert monsters. Their other equipment includes a bead of dryness to store water, cold weapons, potions of healing, holy water, and an oil of gentle repose to be applied immediately upon death to prevent being turned into a zombie or other undead monster. The name of the city, Mars’ Oasis, comes half from the oasis and the other half from Mars, the Roman version of Ares. In 700 BCE he led a group of Roman soldiers to the dark side of the world and then back around. 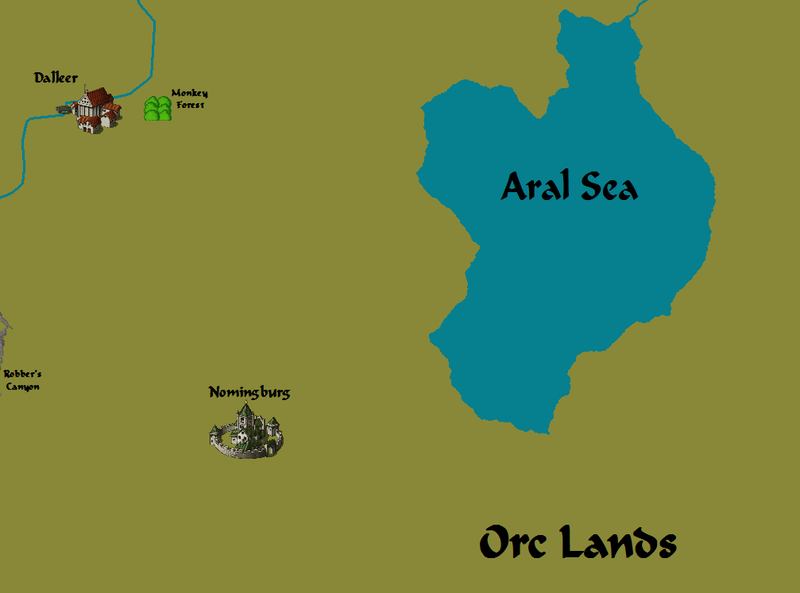 They fought many orcs, goblins, monsters, and demons on their journey. Ares gave the Romans peace at the end of the journey in his Oasis. Out of the fires of the desert a lake arose with many desert nymphs to become the legionnaires’ wives. From those Romans and nymphs the indigenous humanoid population of the desert has sprung. With the war between the Alliance and Xoria, Mars’ Oasis is suffering under a constant barrage of diplomats requesting that they enter the war with the Aliiance. This is due to Mars’ Oasis unique experience in defeating dragons and undead of which Dragovinians are a hybrid. Until now, Mars’ Oasis declined to join the war. The milieu of threats within the desert kept the Mars’ Oasis army busy enough without having to deal with threats outside their immediate region. The situation is about to change though. The Alliance exiles vanquished the Bane and recently slew Bavastatner. Additionally, they negotiated a peace treaty with the formians. Removing the three primary threats to Mars’ Oasis frees them up to join the war against Xoria.